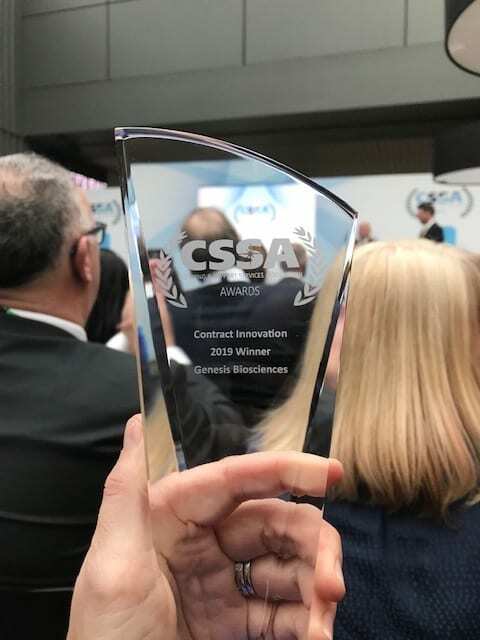 We’re thrilled to announce that Genesis Biosciences has won the Contract Innovation Award at the CSSA Awards 2019! The CSSA Awards recognises innovation and excellence in the UK cleaning industry. Any products, service, or technology/apps can be considered for the illustrious Contract Innovation Award. The judges for this particular category are industry experts from the Cleaning & Hygiene Suppliers Association. And we’re incredibly excited to announce that we won the Contract Innovation 2019 award! It was a fantastic day at The Cleaning Show – a huge congratulations & thanks to our brilliant, hard-working team, we are so pleased! We’re pleased that the award is a recognition of our unique offering. This not only includes our performance-driven cleaning solutions, but also our commitment to making a positive impact on our environment. 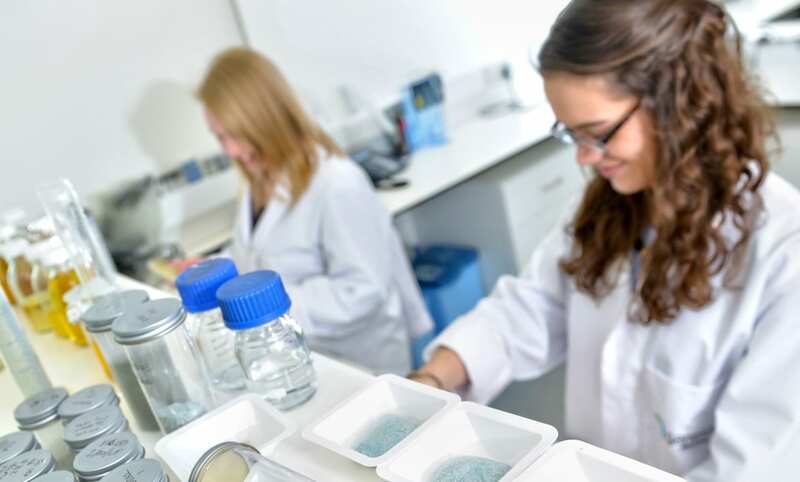 All Genesis Biosciences products utilise the power of nature for environmentally-responsible solutions. This is particularly important when it comes to the cleaning industry. 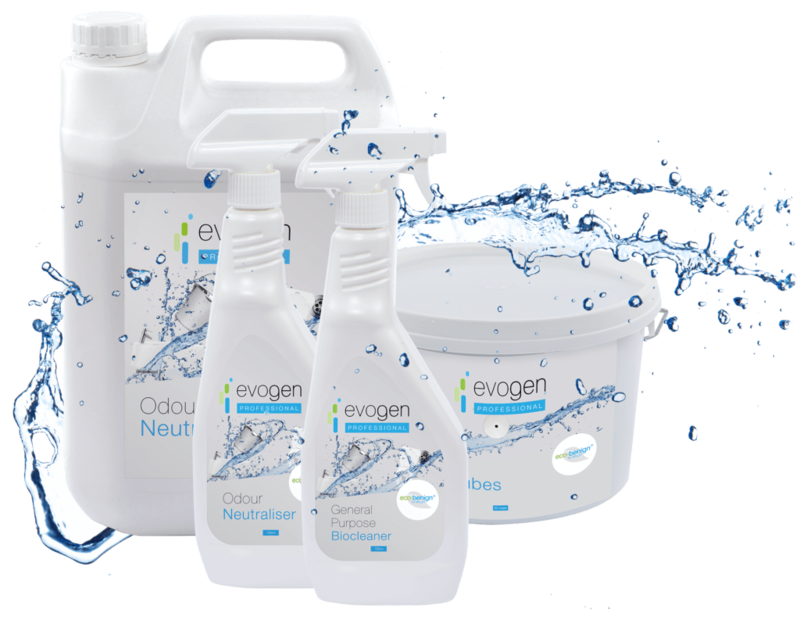 From Evogen Professional, our eco-benign® professional cleaning range, to Biosan, which prevents malodours and eliminates harmful bacteria in sanitary bins, we constantly seek to minimise environmental impact. When were the CSSA awards? The CSSA Awards took place on Wednesday 20th March 2019 in London. This was the second day of The Cleaning Show 2019 at the ExCeL, the UK’s largest trade event focused on cleaning and hygiene. The Cleaning & Support Services Association (CSSA) was established in 1966 to provide a national voice for contract cleaning companies all over the UK. It then introduced the awards to celebrate excellence across the UK contract cleaning industry. We’d like to wish congratulations to all our fellow nominees. Despite it being barely spring, this nomination is Genesis Bioscience’s second award nomination of 2019, and our first win. Alongside the CSSA Awards, our Evogen Professional range was also up for the Tomorrow’s Cleaning Awards 2019.